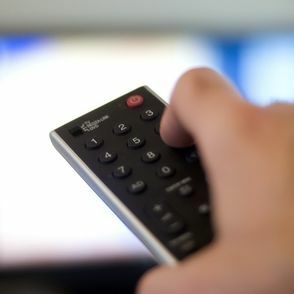 Just over three quarters of people do not agree with the government’s proposal for a new household broadcasting charge to replace the current TV licence fee. That’s according to 300 respondents to a poll in MyHome.ie’s Friday Feedback. The results of the straw poll found that 76% did not agree with the proposed new charge, which was revealed last week by Minister for Communications Pat Rabbitte. Mr Rabbitte claims €25 million is being lost every year by householders who do not pay for their TV licences and wants the new broadcasting charge introduced to tackle the problem of people watching public service broadcasting on the likes of laptops, tablets and smartphones. However, despite Minister Rabbitte’s claims that the household broadcasting charge would ultimately cost homeowners less than the current €160 TV licence fee, a whopping 82% of people who responded to the MyHome.ie poll said they believed that ultimately it would end up costing them more. In a damning indictment of the content currently provided by RTÉ, a massive 91% of those polled said they did not believe they currently got value for money for their TV licence fee. The MyHome.ie poll also revealed that just 5% of households now receive their TV signal by the old terrestrial means, with another 5% receiving it from the new Saorview system. The vast majority are subscribed to either UPC (35%) or Sky (32%) with a further 9% receiving their TV content via Freeview, which does not have Irish channels enabled on it. Those who did not watch TV amounted to 8%, while 4% said they viewed content on the internet via an iPad, laptop or smartphone. Just 2% said they received their TV content by other means. Check out MyHome.ie’s Friday Feedback article for yourself here.